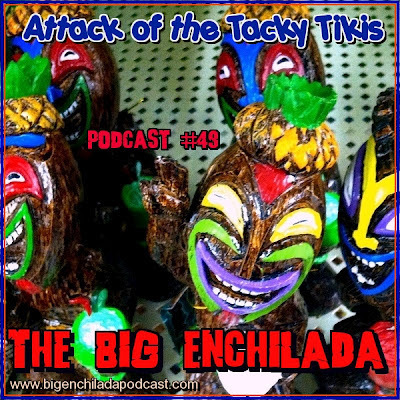 Inspired by a series of startling hallucinations in the gardening section of my local K-Mart, this month The Big Enchilada takes you to an uncharted desert isle where the world's tackiest Tikis plot in secrecy. All the tacky Tikis, where do they all come from? Can you withstand the Attack of the Tacky Tikis?